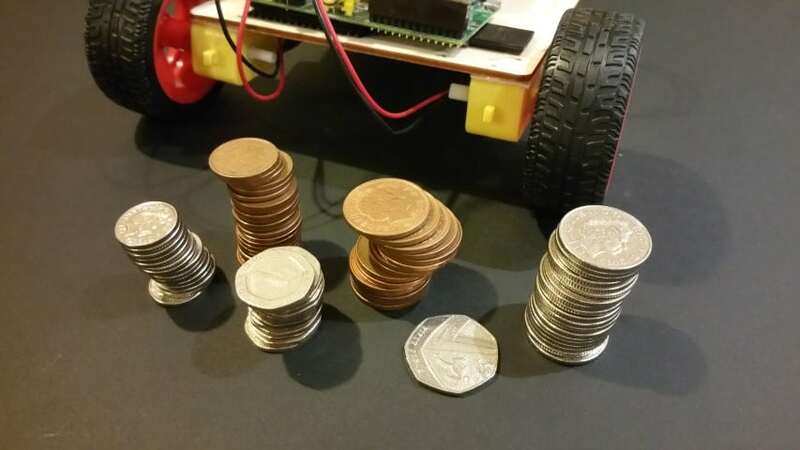 You already don’t believe me do you – a Raspberry Pi robot for less than 20 notes? Well it’s true. Kind of. OK it depends on a few things but I’ll get to that a bit later on in this blog. 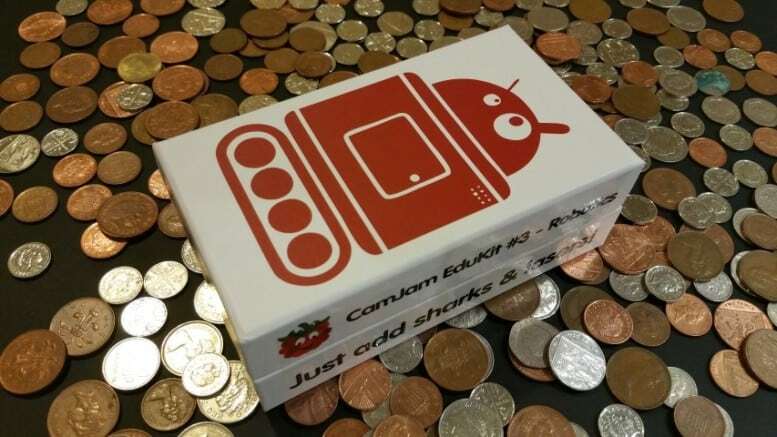 For now let me introduce you to one of the cheapest Raspberry Pi robot kits ever released: The CamJam EduKit 3 – Robotics. This is the third CamJam kit following their previous release which was all about sensors – check out my review of the EduKit 2 here. I was sent a preview pack of the latest EduKit to check out prior to public release, and also help with a bit of testing. 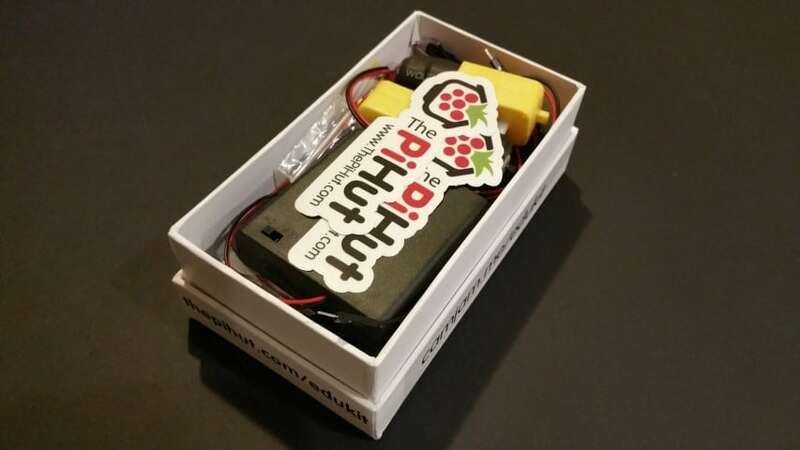 As this kit is likely to be used by schools and teaching groups, and potentially parents new to the world of the Pi, I’m going to show you what you’ll need (outside of the kit), how much more you may or may not need to spend, and a quick run through of how quick and easy it is to build and code. Scissors/Knife – to cut stuff! There you go, lots of parts there and all for £17. I’m impressed so far. What I don’t show you in the video are the worksheets that come with the kit, mostly because they were still being refined when I received this preview version. The worksheets cover the initial robot build, basic motor control and movement, then move on to advanced movement and the addition of the included sensors. If you’re like me – a ‘weekend coder’ – these sheets are the most valuable part of the kit. 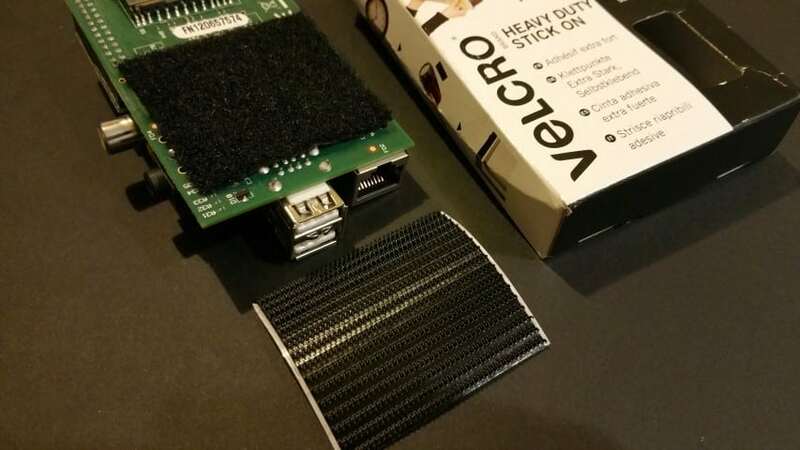 Whilst the hardware kit is great value and makes life easier, you can’t buy code (not this cheap at least). I value decent product code examples and it’s a big factor for me when buying any Pi product. The first worksheet covers the physical side of the kit – putting the kit together. The very first thing you need to do is make a chassis. My best advice here is to not take this part too seriously! 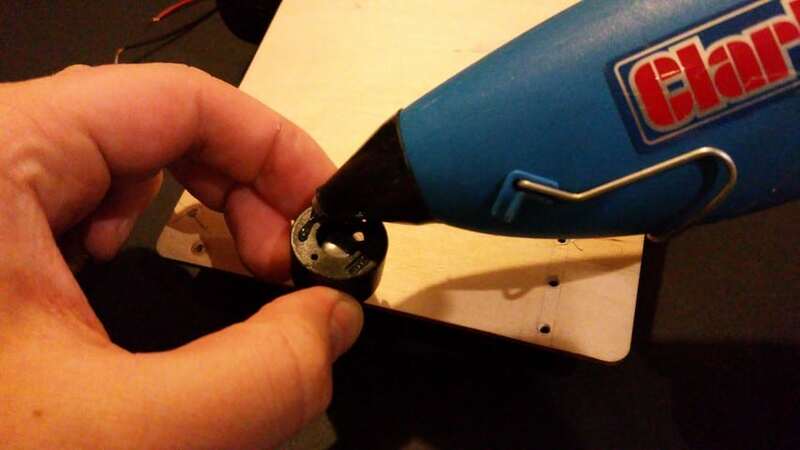 You don’t need to do any drilling or messy gluing, or have any real precision here. It doesn’t have to be rock solid, perfect or professional! Let your imagination crank up to 11 and have some fun with it. I ended up recycling and old 150x100mm plywood panel that was originally my ‘AverageBot’ Pi Wars robot chassis. Once you have a chassis you need to add the parts to it. At this stage we’re only adding the motors/wheels, battery box, Pi and motor controller. The sensors will come later. I added the motors first and foolishly used all of the supplied tape on them. I could have easily cut 10-15mm off of each to use with the battery box and other parts. Don’t waste all the tape on the motors like me, it will come in handy for the other parts. A card or plastic chassis will let you use the provided screws. I had to get my glue gun out. I added my Pi next. I used some heavy duty Velcro tape to attach the Pi to my chassis. If you don’t waste the supplied tape like me, you can use that instead. 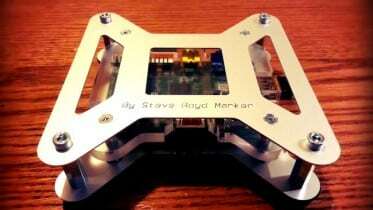 Another option is to use an existing Raspberry Pi case and just attach that to your chassis. I then added the battery box. The kit recommends putting this above the wheels for added grip, but as I’m an idiot I ignored this and put it on the front. Marvellous! Finally, the robot controller. I did this part last as screwing these tiny terminal connections is just a bit easier in the hand. I wired in the battery box and motors, and pushed it on to the GPIO. All the basic parts fitted. As I progress through the worksheets I’ll add the sensors. It’s only right to give your robot a name as this point. I’m calling this one ‘ecoAverage’. Welcome to the family little guy! They all work just fine and spin the wheels at roughly the same speed (perhaps a little faster from the 1.5V batteries), but consider your battery choice before you go out and buy any. 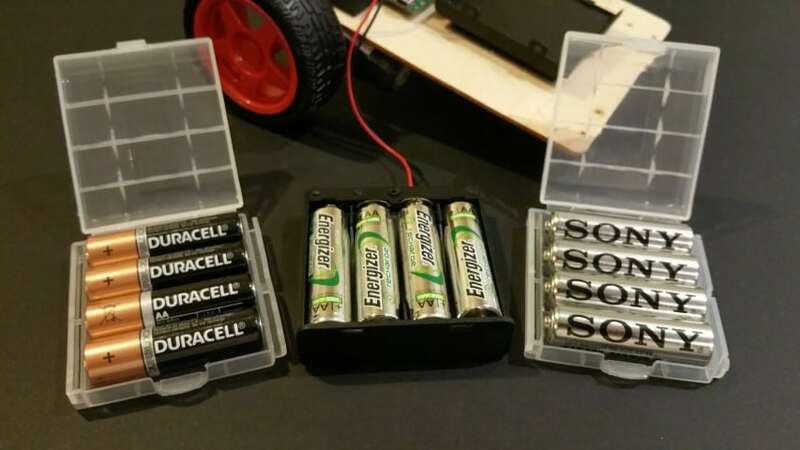 Investing in decent rechargeable batteries will save you money in the long run if you plan to revisit and improve upon this kit. The second worksheet talked me through the process of setting up a Python file to run a quick test of the motors. You mostly use this to make sure all the motors are spinning in the right direction. You can’t really go wrong as all the code is provided for this step. Just connect your Pi, copy the code, save and run. I used WiFi to connect to my robot rather than a screen. If you want to set up WiFi on your Pi, check out my guide here. Initially my robot was spinning in a circle. A quick swap of the motor wires and we’re running nice and straight. The next worksheet teaches you how to code the robot to move forwards, backwards and turn. This isn’t by remote control, more a set list of commands in your code, so we’re not quite ready for popular robot activities such as cat chasing, wife annoying and beer distribution yet. There are lots of ways to remote control a Pi robot, and there may even be another worksheet on this (they’re still being finalised as I type). This worksheet also starts to set challenges like the previous EduKits – setting you an objective to complete based on the knowledge learnt in the sheet. This is great for all you teachers out there to get your student’s cogs turning. You’ll need a printer for this one, as you need a black line on white paper that the sensor can follow. Alternatively you can use black electrical tape on a light floor surface. As I don’t have a printer or any electrical tape at the moment, I couldn’t try this out…but I’ll update here in a week or so once I’ve made use of Papa Average’s printing facilities. I need to make a large practice course for my AverageBot Pi Wars testing anyway, so I’ll have a decent track to play with. The worksheet looks good though, with a meaty section on how line sensors work – a mystery I’ve been meaning to look in to for months and something that will help me with my AverageBot project. Despite all this material there’s still lots going on behind the scenes to produce even more worksheets. 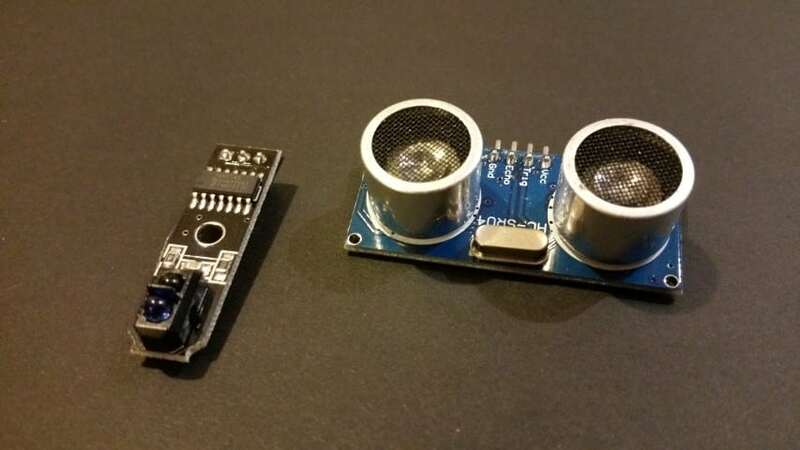 The SR-04 sensor (supplied in the kit) will be one of these, and the challenges get better and better when you have multiple functions and components to combine. There is also refinement of the worksheets taking place at the same time, with people like me feeding back where we get stuck or if things aren’t clear. It’s a tried & tested approach that makes sure that all EduKits are super simple and easy to use. At the time of writing there are plans to create worksheets that put all of the functions and components together in a single robot, and then more worksheets to show you options on how to run your robot remotely. The EduKit 3 is well-paced for beginners just like the previous EduKits, and gives you a comfortable introduction to robotics whilst actually letting you build a full robot at the same time. 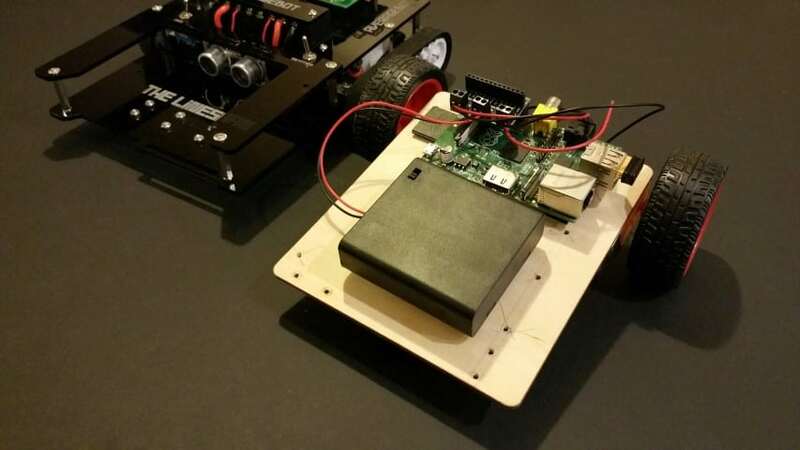 The big question: Can you really build a Raspberry Pi robot for £17? Yes and no. 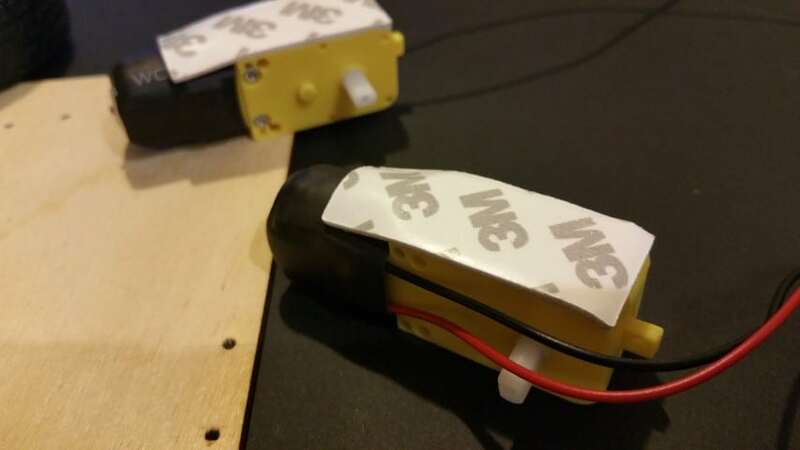 If you already have a Pi, SD card, power supply and batteries then indeed you are just £17 away from robot mobility! However if you fancy this as your first project and an introduction to the Pi, then you’re going to need to do some shopping first. The model B+ Pi is currently around £20, 8Gb SD cards are close to £6, the official power supply is about £7 and a HDMI cable shouldn’t cost you more than £2-3. You also need batteries – so let’s add £1 for those cheap ones I mentioned earlier to get you started. With the kit included, that totals at around a touch over £50. In terms of scalability, you’re not just limited to the sensors and functions that the worksheets show you. 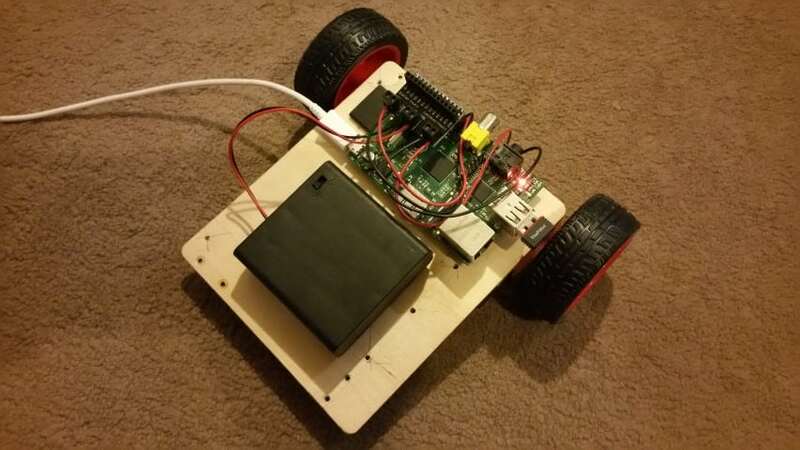 With the Pi’s GPIO at your disposal, and the huge community of tutorials and project ideas, there are hundreds of different ways to chop and change this robot. Step away from the code side of things and you also have days of fun trying new chassis materials and sizes. 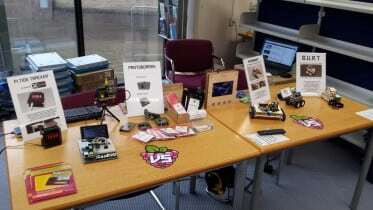 The CamJam EduKit 3 – Robotics will be available at the Pi Hut in November. 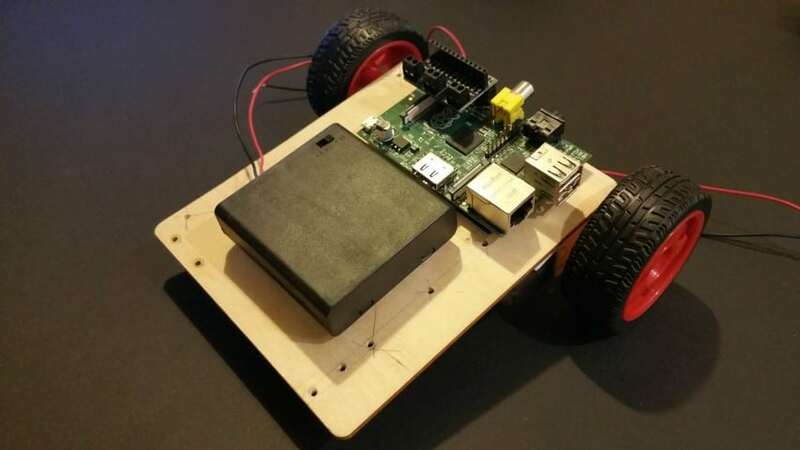 Be the first to comment on "Build a Raspberry Pi Robot for £17!"